This may sound silly, but if you don't set a budget, you will have a more difficult time narrowing down your accommodations, which will be one of the biggest expenses of traveling to Hawaii. It's also a good idea to set a budget for activities and excursions as these can add up. Purchase snorkel gear at the nearby shops to save money and float on your own off shore. Of course, use caution and stay within the safe areas. If you stay in a vacation rental, they often stock the unit with snorkel gear, pool toys, beach chairs, etc. That can be a great convenience and no cost to you! There are several budget airlines that fly directly to Hawaii from the mainland. Often times these airlines only fly certain days and certain times, so if your schedule is a bit flexible, you can save several hundred dollars a flight! Worth the savings if you ask us! If you can, plan your trip a few weeks before or a few weeks after the busy season. You will receive substantial savings! Generally, the weather is the same too! So you don't have to worry about going during the rainy season, just to save some money. It's a win-win! There's a reason vacation rentals are SO popular all over the world, especially in Hawaii! It's because they save everyone money. If you search a hotel accommodation in Maui you are looking at upwards of $600 a night, depending on what season you go in and where you stay. You can rent a Maui vacation rental starting at just $71.00 a night. And that's for a 1 bedroom unit, fully equipped with a kitchen and living area! So much more space than a hotel room. Plus, the kitchen allows you to save money by preparing some meals in, and storing snacks and beverages for your stay! Don't worry though, just because you are paying less, doesn't mean you sacrifice the resort-like atmosphere. 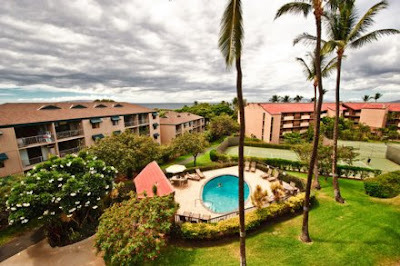 Take a look at this awesome Maui vacation rental that rents for $84-$165 a night and is located in an oceanfront resort with three pools, tennis courts, volleyball courts, barbecues, and more. 1 bedroom vacation rental in Maui. Just $84-$165 a night! 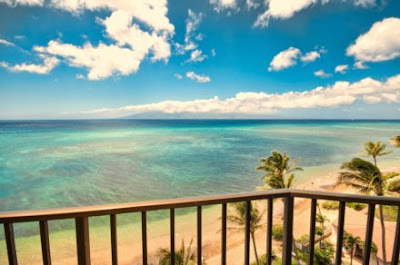 Another great option is this fantastic Lahaina vacation condo with some of the best views around! Wouldn't you love to wake up to this view? This condo is in a beautiful oceanfront resort and starts at just $140 a night. 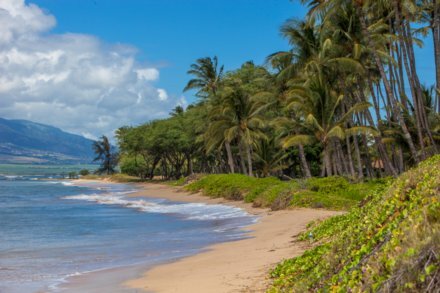 With over 750 vacation rentals in Maui, you will surely be able to find accommodations within your budget, and one that fits all of your wants and needs! What are you waiting for? Get planning your trip today. If you need help planning your vacation to Maui, contact our Travel Specialist! We love helping our customers find the perfect place for their vacation!